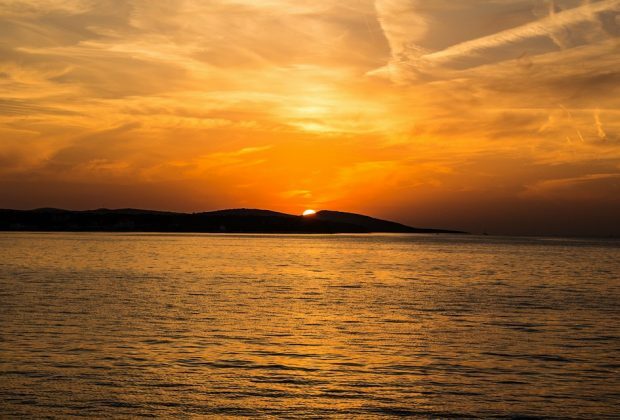 Explore the Southern Dalmatian islands – the peace and beauty of their secluded coves and crystal clear sea. Stroll the streets of their medieval towns. Enjoy delicious local cuisine and excellent wines. Arrival at Split Airport by noon and transfer to your Hotel. Your local guide will meet you at the Hotel and take you for a sightseeing walking tour around the city. Our journey through ancient history starts with the fact that the Roman emperor Diocletian was born in nearby important Illyrian center and the capital of the Roman province of Dalmatia – Salona. He ordered to build one of today’s most preserved palaces of that time in the nearby town Split. With a professional city guide we are continuing our journey and sightseeing the 1700-year-old Diocletian`s palace in Split, UNESCO protected site, imagining how the life of Diocletian was like, within the walls of the palace. During the tour we will stop by to see the Cathedral of St Duje, one of the most beautiful cultural wonders on the Adriatic coast but also the ancient cellars, Peristyle in center of the palace, Roman temples the famous Golden Gate and the big statue of Grgur Ninski. On this walking tour you will get to know Split and its history in an interesting way. The rest of the afternoon at leisure. Tonight we will have welcome reception and dinner at the traditional local restaurant in Split. 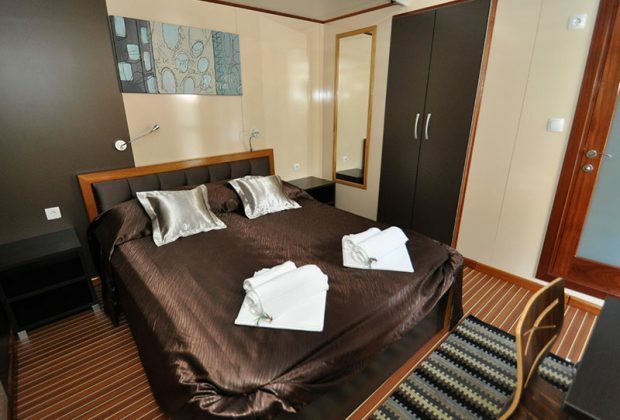 Overnight Hotel 4* in Split. Upon embarking the ship, we will continue our journey to the Island of Brač (Supetar) where we will overnight! Breakfast on board of the ship. After breakfast, you will have free time to explore or just relax under the sun. Activities such as hiking or biking to Vidova Gora, the highest point of Brač, are included for those who want to be active. The rest of the group can relax on the boat and meet with the rest of the group on Bol beach later on. 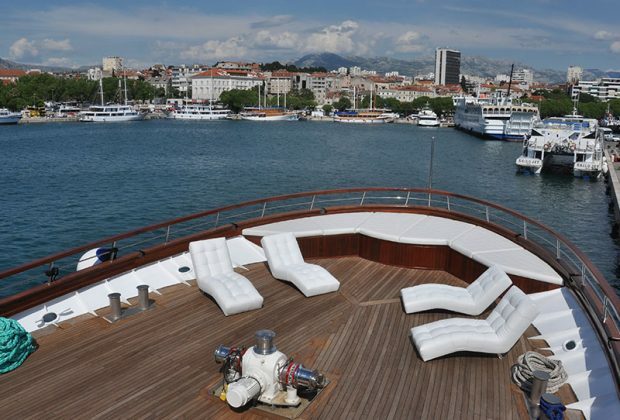 In the afternoon we will set sail to our night port on the island of Hvar (Stari Grad) where we will spend the night. Breakfast on board of the ship. This morning we will sail from Stari Grad to the old town of Hvar. 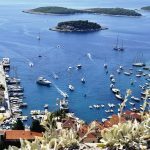 Upon arrival, we will explore Croatia’s rich island history on this 2-hour Hvar city walking tour. Follow your guide from For-tica Castle through the ancient streets of Hvar and enjoy stunning views over the island archipelago. 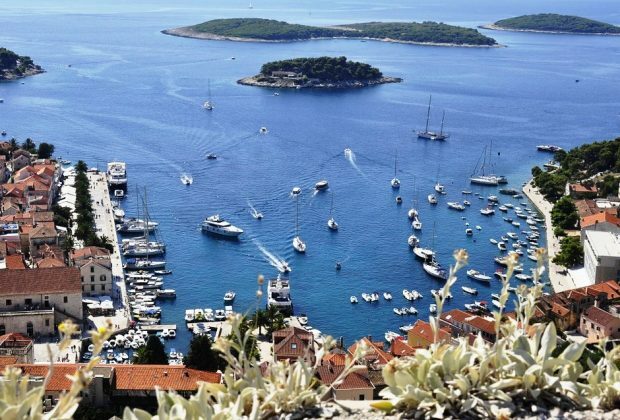 Gain insight into Hvar’s heritage on route through lush pine forest to the bustling Old Town. Admire some of the fine lace-work for which Hvar is famous at a local Benedictine nunnery and museum. 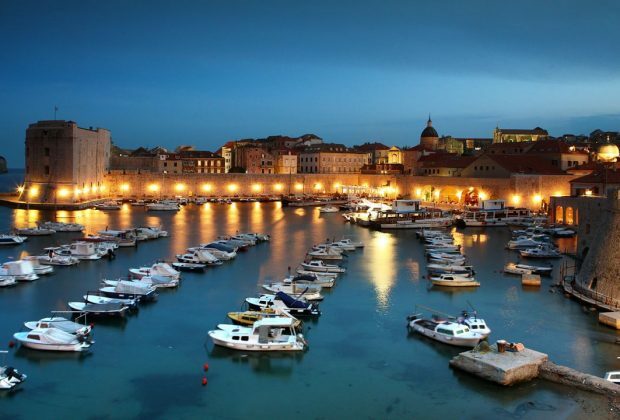 Discover top local attractions such as the 17th-century Ar-senal on St Stephen’s Square, the Dalmatian Renaissance theater and the Cathedral of St Stephen. After the tour there will be some free time for enjoying and going for dinner. We will spend a night in the harbour of Old Town Hvar. Breakfast on board. 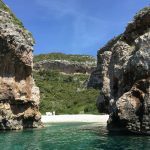 This morning we will enjoy a short sail to the Island of Biševo which is 5 nautical miles from the town of Komiža (on Vis island), and it is best known for its rare natural phenomenon, the Blue Cave. The interior of the cave and the sea inside it are illuminated with an indescribable silver-blue light. The rays of sun passing into the cave through a small crack in its ceiling are reflected in the sea, creating in-credible light effects. 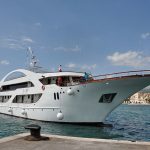 After the Blue Cave visit, we will sail back to Vis (Komiža) for a short stop in Vis (Komiža) where we will enjoy some free time before bording the ship and cruise to the Island of Korcula. After arriving in Korčula we will have some free time in the evening to enjoy some dinner and the old town of Korčula. Breakfast on-board. 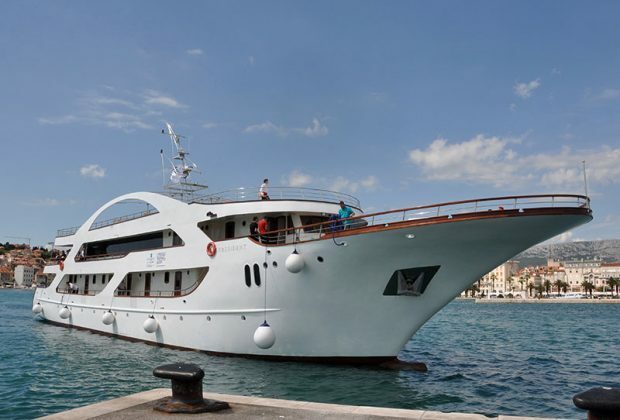 After breakfast we will set sail to our new destination, the town of Korčula, where we will visit some wineries and olive oil production sites. Korcula is well known as a wine producing island, famous for its homemade wines so a visit to this island wouldn’t be complete without tasting the local red and/or white wines and perhaps sampling a traditional snack. The wine tasting tours offered on the island include visits to local wineries in villages of Lumbarda Cara and Posip where white wines Grk and Posip are traditionally produced for centuries. The cycling and wine tasting tour will depart from Korcula Town and you’ll cycle through the small town of Sv. Antun passing through the countryside with stunning views along the route overlooking the Korcula Archipelago. You’ll visit two family run wineries all producing Grk wine that have been passed down through the generations, some as old as 200 years old! After the winery tour you will be transferred back to the ship and for the rest of the afternoon you will have some free time to explore the old town of Vela Luka. Overnight. Breakfast on board. After breakfast we will set sail to our new destination the Island of Mljet. When arriving on Mljet we will have a biking or hiking tour through the national park of Mljet. 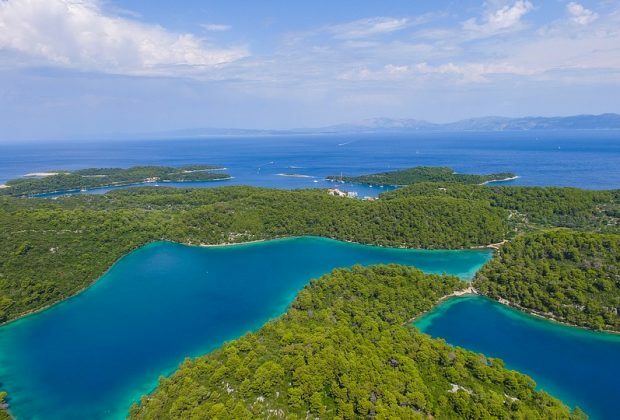 Mljet is the eighth largest Croatian Island, situated near the peninsula of Peljesac, Dubrovnik and Korcula. 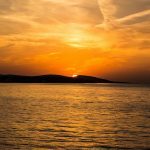 It is characterized by a Mediterranean climate, dry summers and mild winters with approximately as many as 2500 hours of sunshine per year, making it one of the sunniest Adriatic islands. Beautiful scenery, crystal clear sea, lakes, islands, rich cultural heritage make the island truly paradise on earth. 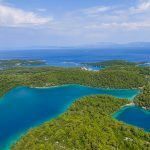 Situated on the island of the same name, Mljet National Park is the most important protected area of the Dalmatian south. It is the oldest National Park at the Adriatic. 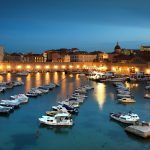 The park covers the western part of the island, which many regard as the most alluring in the Adriatic, full of lush and varied Mediterranean vegetation. The park includes two deep bays which, due to their extremely narrow links with the sea, are regarded as and indeed named lakes: The Great Lake and the Small Lake. Here, you will join a guided National park tour where you will see and taste the best the Island has to offer. Upon the end of the tour, we will sail towards Dubrovnik and check in at the Hotel. Overnight in Hotel 4* Dubrovnik. After breakfast meeting with the local guide for Dubrovnik sightseeing. Local guide will take you to the most wonderful and hidden streets of the Dubrovnik. 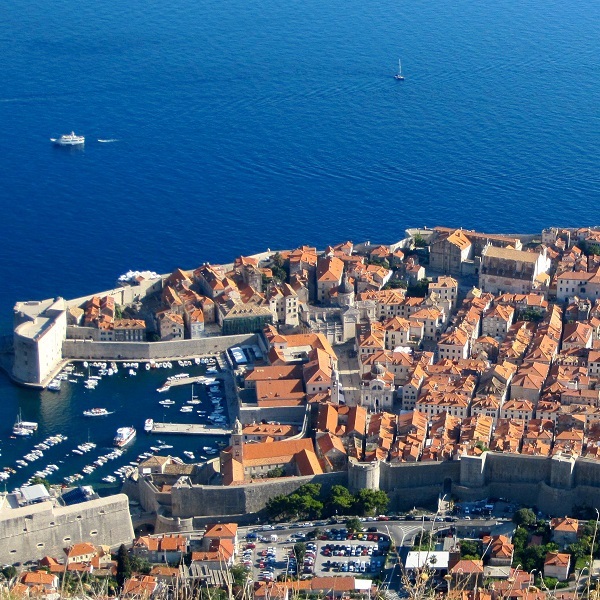 Explore Dubrovnik City Walls and enjoy a unique view of the Old Town (UNESCO HERITAGE SITE) of Dubrovnik including its narrow streets and small squares, shop on the Stradun street, and explore Game of Thrones locations. After breakfast we will enjoy the kayaking tour around the walls of Du-brovnik. 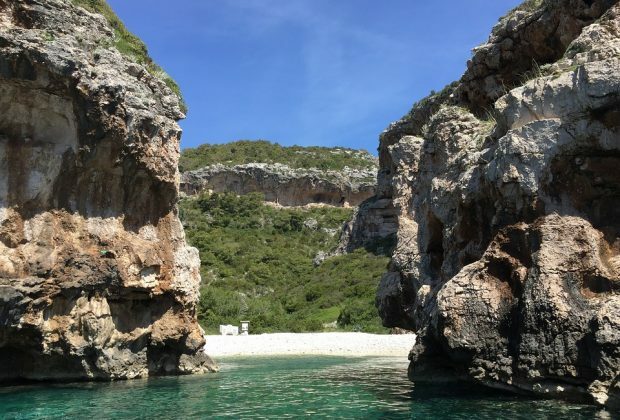 You will set off to explore caves and beauties of mysterious Lo-krum island, also called ‘The Island of love’. After paddling around the island you will paddle across the bay until you reach hidden cave beach called Betina, where you will have a break for snorkeling and sandwiches. The only way to reach this peaceful beach is from the sea side so you will enjoy in private & unique view of the City walls. After a short break on the beach you will paddle along the cost toward the City walls. Paddling under the impressive city walls and rocks on which they were built, you will enjoy breathtaking views of the Pearl of the Adriatic from a different perspective. After sea kayaking, you will have free time to explore Dubrovnik and walk thru the old streets. You can take the city walls tour or the cable car to the top of mountain Srđ from where you will enjoy a breathtaking view of Dubrovnik. Farewell dinner at local restaurant and Overnight. Transfer to Dubrovnik Airport for departure flight.